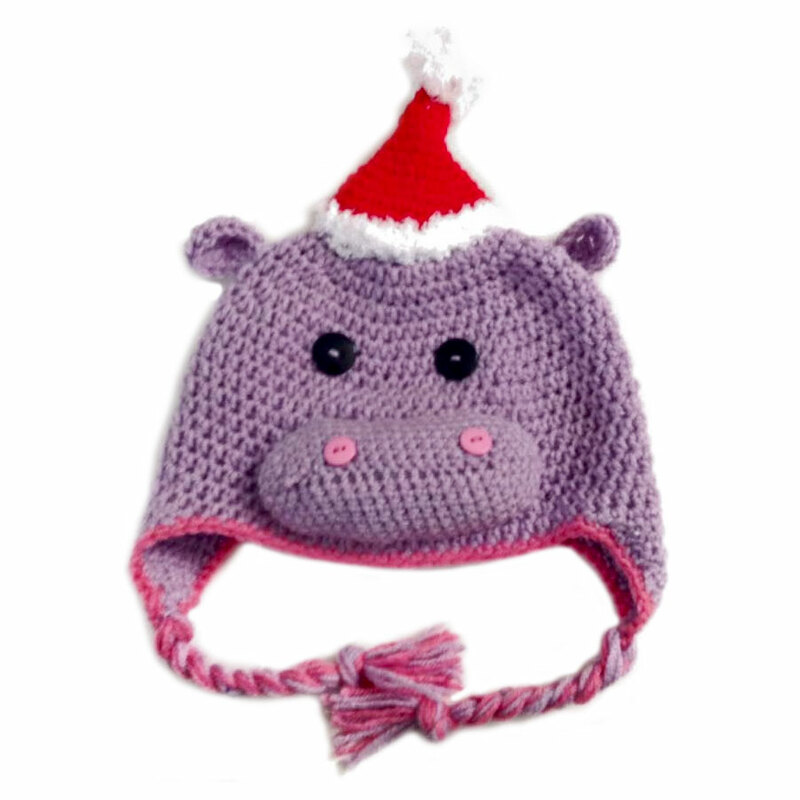 When only a hippopotamus will do, wear this super cute Christmas hippo hat! Crocheted by hand, this hat is available in sizes from newborn to adult, so you could buy hats for your entire family and have your own bloat. 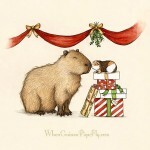 [Yes, a group of hippos is called a bloat!] For a truly custom cap, you can specify the colours of the braided tails and trim—or even change the colour of the hippo.